Never come to the conclusion that foreclosure is your only option! Regardless of what any Realtor or lender has told you, there is hope outside of a foreclosure. Unfortunately, many Jacksonville Florida home owners are not aware of alternatives, such as a short sale, and their home is foreclosed on. Not only will a foreclosure ruin your credit, but it also looks bad to present and future employers. In addition, after a foreclosure (up to 20 years!) your lender holds the right to pursue a deficiency judgment of the remaining debt. I many cases, banks will wait until the borrower is back on their feet to pursue judgment, but in others they don’t. In conclusion, you do not want your home foreclosed on! Find out more information on Jacksonville Fl short sales, as it is the best solution in many cases. Even if your lender has already contacted you with intentions of foreclosing, if you prove that you are attempting to short sale your property they will likely push back the auction date. 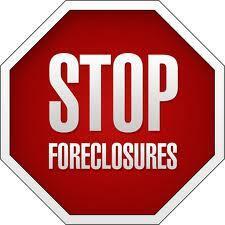 Remember, a foreclosure will cost them around $58,000, making it a headache to your lender as well as you. Call us at no obligation to learn more about short sales and how we can help you! My team and I would be more than happy to speak with you about your current situation and what options are best for you. Keep in mind, none of this will cost you a penny!